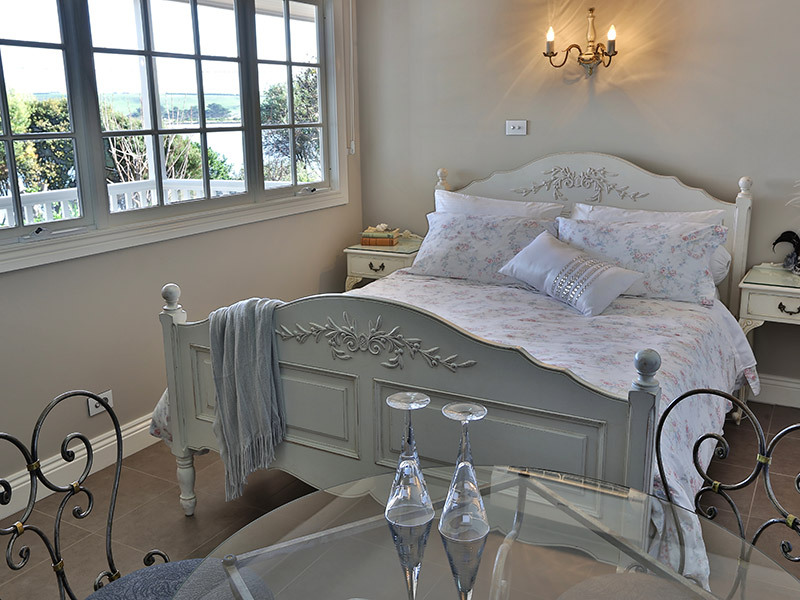 Luxuriously appointed romantic French inspired furnishings consisting of Queen size bed with deeply comfortable mattress, fine quality 500TC Sheridan cotton sheets, electric blanket, choice of latex and Tontine Luxe Pillows, quality non-allergenic doona or 95% goose down duvet, and Sheridan cotton waffle blanket for those warmer nights. Le Forge wrought iron café style table and chairs for elegant in-room dining or enjoying the welcoming supplies awaiting you comprising tea, coffee, milk, sugar, quality biscuits, complimentary bottled water and chocolates. 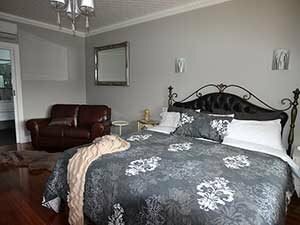 Your suite also includes a mini-refrigerator, kettle, toaster, coffee machine, bodum double-wall glasses, crockery and cutlery for in-room (take-away) dining, Royal Doulton stemware and cheeseboard and knives. 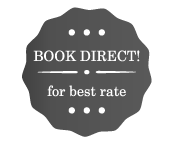 Please check our Bookings page for current specials and great deals. 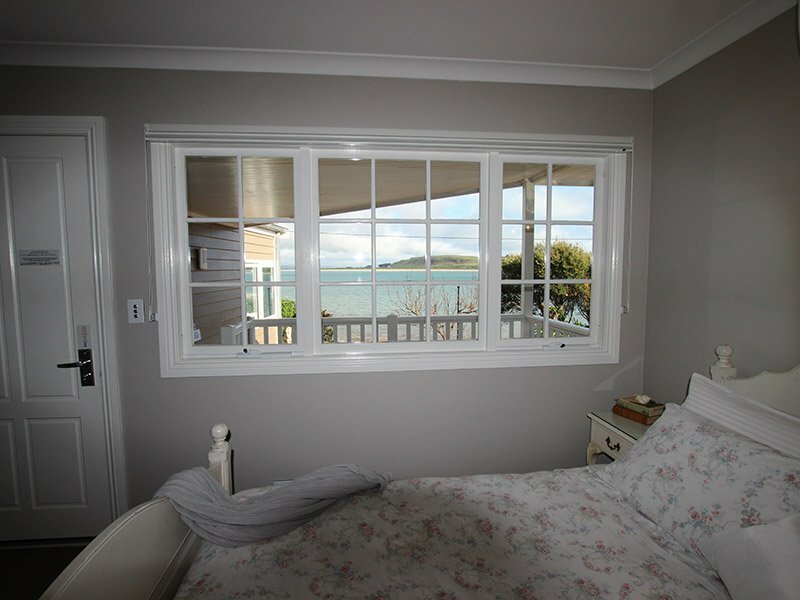 Private balcony with bay, beach and green hills views. 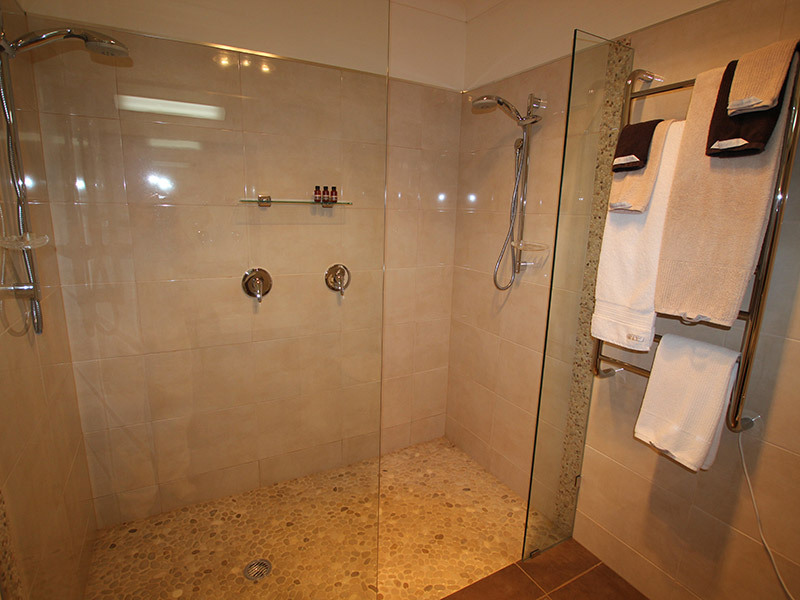 Large Double shower with pebble floor. 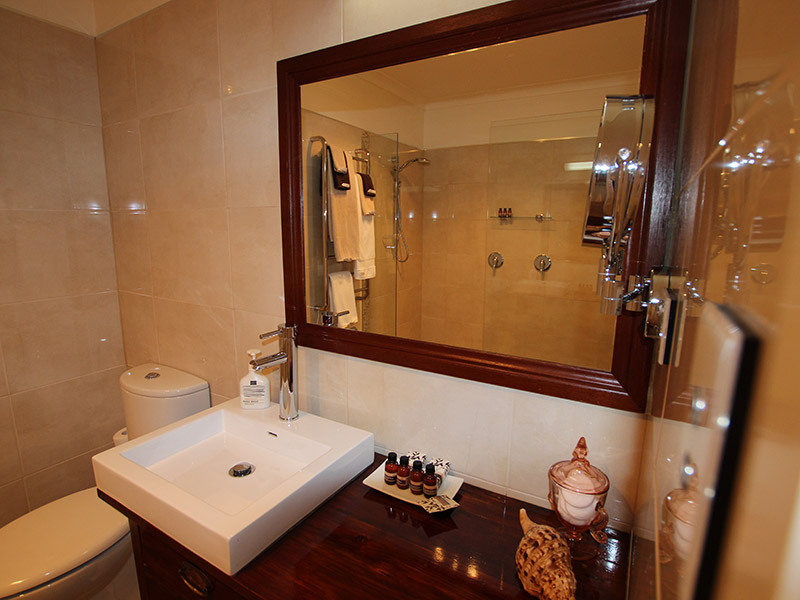 Our allergy-free room with heated tiled floor.